Ankle length jeans are the perfect jean to transition into spring with. They’re super simple to wear and pair with just about anything. 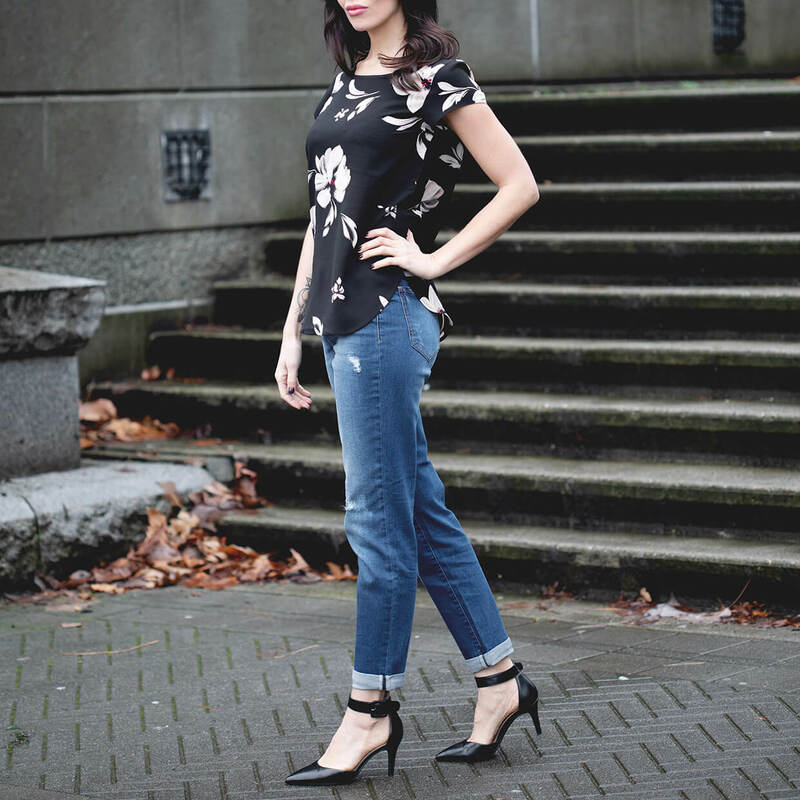 Get the Look: Julia is wearing the Shoot For the Moon Ankle Jeans (27, 32″ Inseam), Floral Your Heart Top (S), On Point Heels (Black, 8). Ankle jeans are extremely versatile. Pair with flats and a tee for a super cute casual look you can wear every day. 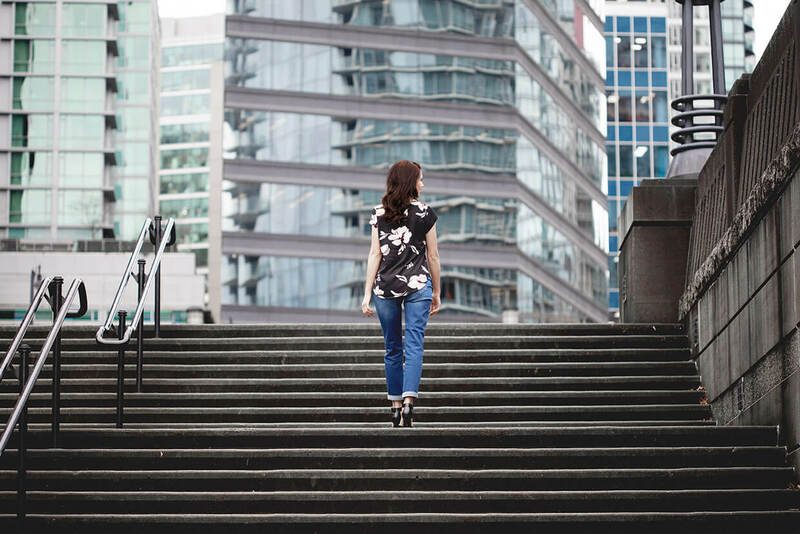 Get the Look: Julia is wearing the Shoot For the Moon Ankle Jeans (27, 32″ Inseam), Timeless Tee (Black, XS), Fortunate Soles Shoes (Black, 8). Add a dressy top and some cute heels for a work look that will be envied. And take this look from day into night! Throw on an oversized top and your favourite booties for an effortlessly chic vibe. 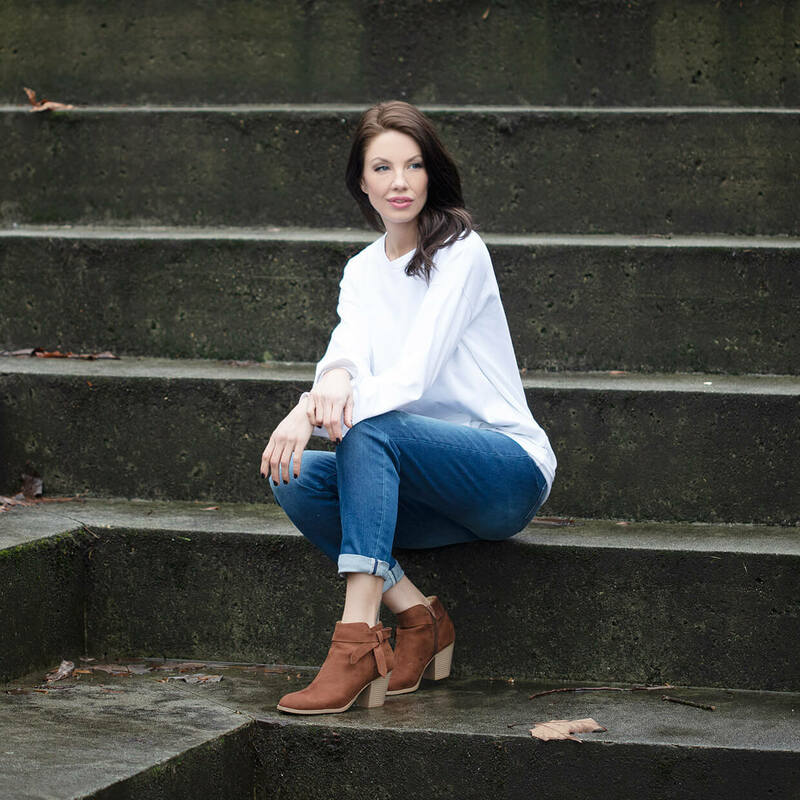 Get the Look: Julia is wearing the Shoot For the Moon Ankle Jeans (27, 32″ Inseam), Fire Side Crewneck (White, S), She’s Got Sole Booties (Tan, 8). If you’re looking for a new go-to uniform, add a pair of ankle length jeans to your wardrobe. We’ve styled our ankle jean looks with the Shoot for the Moon Ankle Jeans. 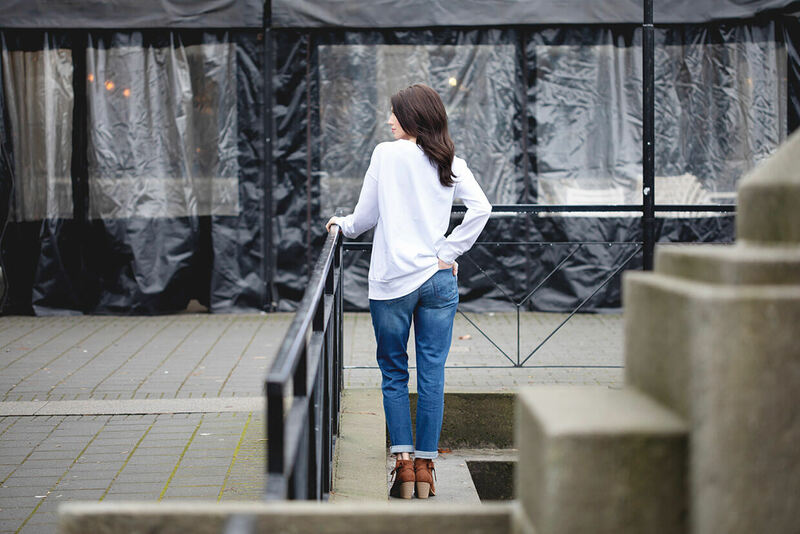 Get the Look: Julia is wearing the Shoot For the Moon Ankle Jeans (27, 32″ Inseam), Fireside Crewneck (White, S), She’s Got Sole Booties (Tan, 8).